Bang & Olufsen the global luxury lifestyle brand and instrument in the art of true sound quality, have created another unique & truly wireless headphone innovation in a new signature colour. To pay homage to one of the most iconic colours in the racing world, Bang & Olufsen have shifted gears with their Limited-Edition Beoplay E8 Racing Green. The deep rich green shade of the Racing Green E8 headphones is striking in its appearance, whilst maintaining the technological brilliance you’d expect from Bang & Olufsen. 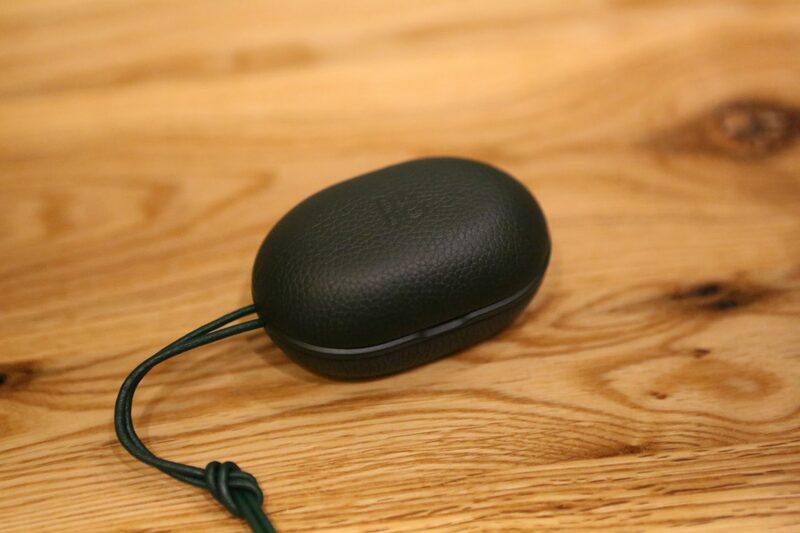 Which brings us to the other key factor of the Beoplay E8 Racing Green marvel. Like the world of motoring, Innovation and design has been the forefront of the Bang & Olufsen brand. 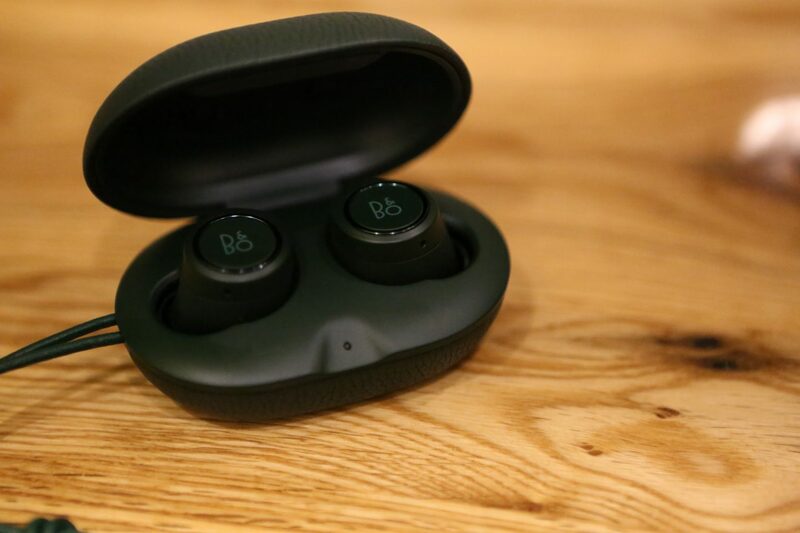 The Beoplay E8 Racing Green headphones are filled to the brim with the latest in sound technology, as well as innovative ways to control your new E8 headphones. We’ve given them a go and goodness the technology is a cut above the rest in the market. From their digital signal processor technology (which allows tuning with equalisation and gain, as well as their transparency mode which drops the sound isolation to let the outside world in. So, the next time someone decides to break your vibe to ask you for directions, you can let more sound with just a tap of your finger. Premium leather case, that holds 2 additional charges. We’ve tried wireless headphones with and without controls attached to them. When they come with controls they end up being big and clunky (which is not what you need). And without them on board, you end up frequently pulling your phone out. Irritating right? 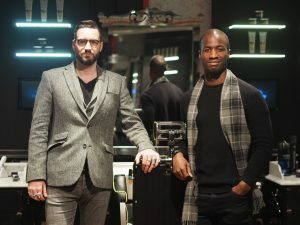 We thought the same and so did Bang & Olufsen, when they created the E8 Racing Green headphones. 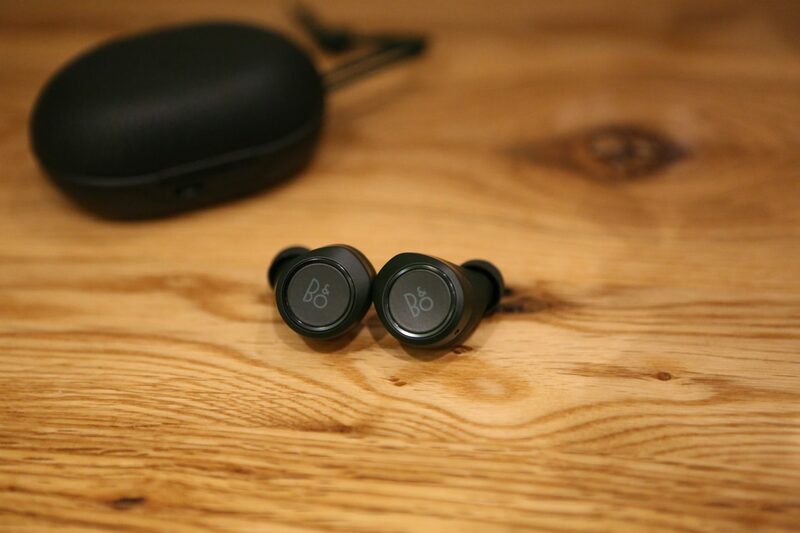 The E8’s come with touch controls which as the name suggests, allow you to control your headphones with just a simple touch. A tap on the right earbud will switch on, play and pause your earbuds. A held down touch will once (on your right earbud) will answer your calls and two 5 second holds will end calls. And that’s just a few of the full gesture controls available, which make the Beoplay E8 headphones truly remarkable. We’re loving these new Beoplay E8 Racing Green headphones, for their innovation, design and quality of sound. And as will you once you get your hands on them. But be quick, the E8 headphones are limited edition and will be snapped up quick! The Beoplay E8 Racing Green headphones are available directly at the Beoplay website, priced at £269. When it comes to premium quality design with sterling sound quality, there isn’t many that can come close.